Two women have been arrested in the past 48 hours in connection with the assassination of Kim Jong-nam, half-brother of North Korea’s supreme leader, who died in Malaysia on Monday. Kim, the grandson of North Korea’s founder Kim Il-Sung, died after two women approached him at the Kuala Lumpur International Airport and splashed his face with liquid poison. Some reports suggest that he was injected with a poisoned needle. According to Malaysian media, Kim was about to board a flight to Macau, where he had been living in self-exile since 2007. 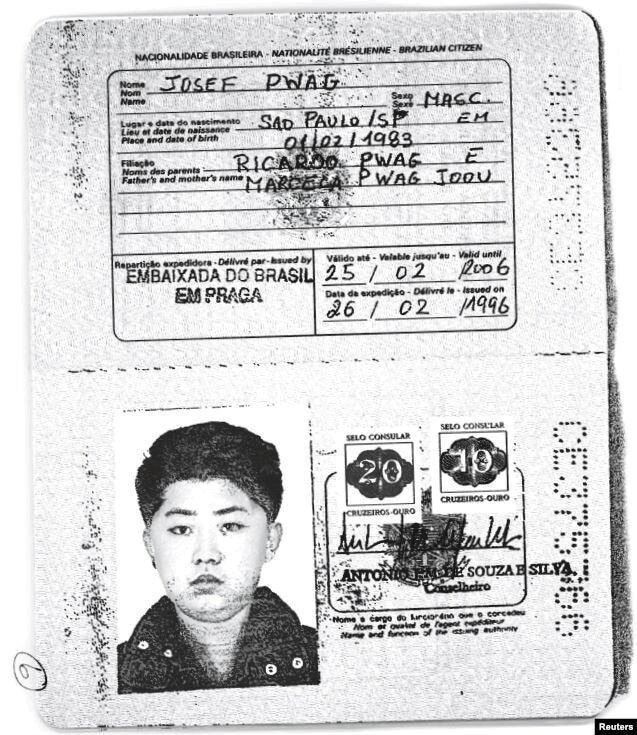 His relations with his brother, North Korean Supreme Leader Kim Jong-un, and the regime in Pyongyang, were adversarial, and some suggest that he had survived at least one assassination attempt in the past. On Wednesday, Malaysian authorities announced the arrest of a woman carrying a Vietnamese travel document, which identified her as Doan Thi Huong (also reported as Doan Thin Hoang). No elaboration was offered on whether the travel document is genuine or forged. The 28-year-old woman is believed to have been arrested at the same airport where Kim’s assassination took place. Apparently she returned there by herself on Wednesday to catch an outbound flight to Vietnam, but was recognized by security personnel through the airport’s closed-circuit television monitoring system. Another woman, carrying an Indonesian passport, was arrested on Thursday in connection with the assassination, but no information was released about her. Some reports in the Malaysian media suggested that the second woman had been observed wandering around the Kuala Lumpur International Airport immediately following Kim’s assassination. It is believed that her co-conspirators inadvertently left her behind as they escaped the scene of the crime. Malaysian police said they also arrested a taxi driver who transported the women to the airport on the morning of the assassination. Four males, who are also believed to have helped organize the attack, remain at large. Meanwhile South Korean and American government sources told news agencies that the assassins are thought to be agents of the North Korean government. Malaysian media said that senior North Korean diplomats were dispatched to Kuala Lumpur on Wednesday and held lengthy meetings with Malaysian government officials. Reports suggest that Pyongyang exercised pressure on Malaysian officials to cancel a planned post mortem examination of Kim’s body. But the request was allegedly denied. Malaysian officials did not respond to queries about whether Kim’s body will be handed to North Korea or flown to China for burial. As many as 100 Malaysian immigration officers are implicated in a widening investigation involving the deliberate sabotage of the country’s electronic passport control system. The investigation, which began over three months ago, focuses on a criminal ring of immigration personnel at the Kuala Lumpur International Airport (KLIA), one of Southeast Asia’s major travel hubs. Reports suggest that 15 members of the alleged ring are in prison awaiting trial. Another 14 immigration officers have been suspended without pay, while 20 more staff members are under investigation by the intelligence subdivision of the Immigration Department of Malysia (IDM). On Wednesday, IDM Director-General Datuk Seri Sakib Kusmi said that the scope of the investigation had widened, and that 63 immigration officers would be transferred from the IDM’s headquarters in Putrajaya to KLIA, to replace members or suspected members of the criminal ring. The officers implicated in the investigation are accused of deliberately sabotaging the automated passport control system used at KLIA. Known as myIMMs, the system allows passport control officers to validate the authenticity of international travelers’ passports, and to confirm that the latter have not been reported lost or stolen. It is believed that the myIMMs system was deliberately made to crash at least once a day, in order to allow human traffickers and other organized criminals to smuggle individuals in and out of Malaysia. With the system going offline, KLIA passport control officers were forced to screen passengers manually, which is now believed to have permitted countless individuals using forged and stolen passports to go through security undetected. The deliberate sabotage of myIMMs is believed to have been going on since 2010, and investigators are at a loss in trying to estimate the numbers of people who have been able to bypass computerized passport checks. One investigator said Australia’s ABC news network that the criminal ring’s handlers were located overseas and would send immigration officers instructions via coded messages. The primary ring members had recruited IDM administrative staff, technology staff, and even software vendors, who were involved in sabotaging the system. 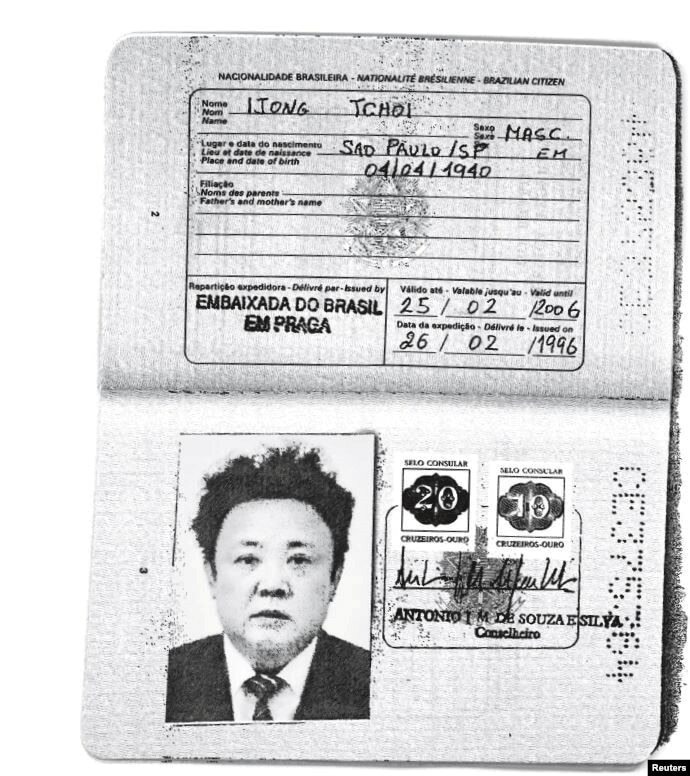 The practice of organized criminal and terrorist groups using forged passports is both long and documented. But news of a criminal group that is able to set up an extensive ring of immigration officers, who then sabotage an electronic passport verification system at a major international transport hub, is rare and extremely alarming. It reveals a new form of insider threat, namely compromised immigration and passport control officers, who are bribed to facilitate the work of criminal groups and terrorist organizations. An Argentine former senior intelligence official, who is wanted in connection with the murder of a federal prosecutor in Buenos Aires, is hiding in the United States, according to the President of Argentina, who says Washington should extradite him. Antonio Horacio Stiuso, better known as Jaime Stiuso, rose through the ranks of Argentina’s Secretaría de Inteligencia del Estado (SIDE) to become its director of counterintelligence. In 2012, Argentine President Cristina Fernández de Kirchner appointed Stiuso to chief operating officer of SIDE, working directly under the agency’s director. However, Stiuso was fired in a massive agency shake-up in February of this year, when the government suddenly dissolved SIDE and replaced it with a new agency, called Agencia Federal de Inteligencia. The radical reorganization was prompted by the death of federal prosecutor Alberto Nisman, whose body was discovered in his Buenos Aires apartment on January 19. Nisman had caused international headlines in the week before his death, after launching a criminal complaint against President Kirchner and several other notable personalities of Argentine political life. Nisman accused them of having colluded with the government of Iran to obstruct an investigation into the bombings of the Israeli embassy and a Jewish cultural center in Buenos Aires in the mid-1990s. A dozen people died in the bombing of the embassy, while another 85 were killed two years later, when the Asociación Mutual Israelita Argentina community center in the Argentine capital was bombed. But President Kirchner accused SIDE of feeding Nisman fabricated information implicating her and her government minsters in a fictional collusion with the Islamic Republic, and then killing him in order to destabilize her rule. She proceeded to dissolve SIDE and charge its leadership with involvement in Nisman’s killing. According to the Argentine government, Stiuso fled Buenos Aires for Brazil, from where he flew to Miami, Florida, on February 19, using an Italian passport. According to Reuters, President Kirchner said Washington had failed to answer “repeated enquiries” about Stiuso’s whereabouts, and suggested that the former spy official may have been working for American intelligence agencies all along. ►►Britain denies visa for Cuban spy freed by US. Rene Gonzalez, one of the so-called “Cuban Five” intelligence agents convicted by the US of spying, has been denied a British visa to attend a London symposium. Gonzalez, who served 13 years in US prison before his release in 2011, had been invited to a two-day conference put on by “Voice for the Five”, an organization that campaigns in support of the convicted Cuban spies. The Cuban state-run newspaper Juventud Rebelde said Gonzales, 55, was denied a visa because British law prohibits entry of a person sentenced to more than four years in prison. ►►Canada fires intelligence analyst over contacts with Russians. Irina Koulatchenko, a 36-year-old who came to Canada as a Russian refugee via Cuba, has been fired by Canada’s financial-intelligence agency, known as FINTRAC. A Canadian Security Intelligence Service probe recommended she not be trusted to do that job, allegedly because “she had had several social encounters with Russian diplomats”. The latter included one she met “at a Cirque du Soleil show, another who was friends with her ex-fiancé and another she bumped into all the time at various social events”. ►►CIA suspected of spying on Congress members. The United States Department of Justice has opened an investigation into Senate aides removing documents from CIA headquarters that they reportedly “weren’t authorized to have”. It turns out, however, that the CIA found this out because they were secretly spying on members of the Senate Intelligence Committee and their staff who were working on a high-profile report on CIA torture of detainees. What is more, Democratic Senator Mark Udall has claimed US President Barack Obama knew of the CIA’s secret monitoring of the Committee.